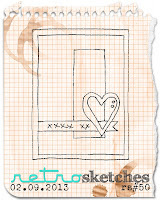 I have just discovered a very nice blog called Retro Sketches. 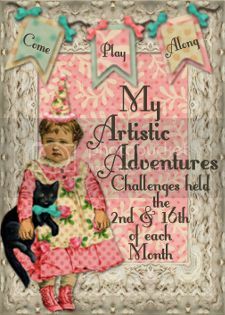 There are challenges regularly, for you to create using a sketch. 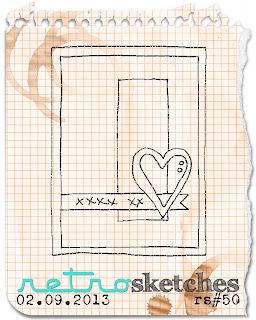 This got my creative juices flowing and it inspired me to make my very first Retro Sketch card. I decided to make this Valentine's card for my hubby. The paper is American Crafts. I hope you like it! Thank you Laurie! I am looking forward to the next challenge. Does this mean I can place a blinky of your site here?